''The home within a home'' Imagine having both privacy & togetherness. 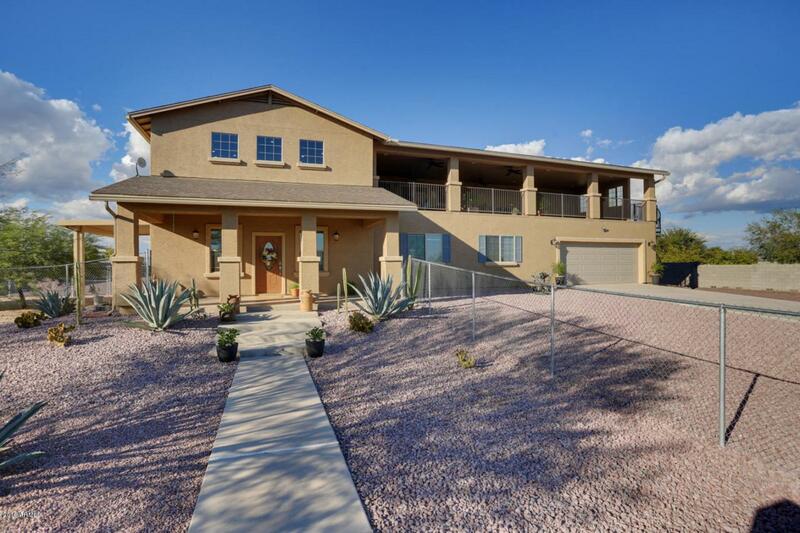 This 3700 sf multi generational home offers an innovative floorpan to accommodate your family and guests. Separate suite offers 2BD/1BA with a private entrance AND a covered 1000 sf balcony w/magnificent sunrises/sunsets over the White Tank Mts! 1200 sf bonus room used as a gym, has prof. grade rubber flooring/carpet which Sellers can remove & offer a $4,000 flooring credit to convert. Horse lovers dream w/ plenty of room for a workshop/ barn/corrals/ stables and/or arena. Ride out of your gate to miles of open space & state land. Close to the infamous Rancho Rio Arena in Wickenburg, AZ renowned as the ''Team Roping Capital of the World''. No HOA. County Zoning. No flood issues. Well constructed, energy efficient home. Cross Street 201st Ave & Steed Ridge Rd.